New Baking Ingredients! Happy dayz for me! Look what the Santa-fairy brought me this week! While I’ve used the disposable piping bags and the vanilla bean paste before, I’ve never had quite so much at one time until now. 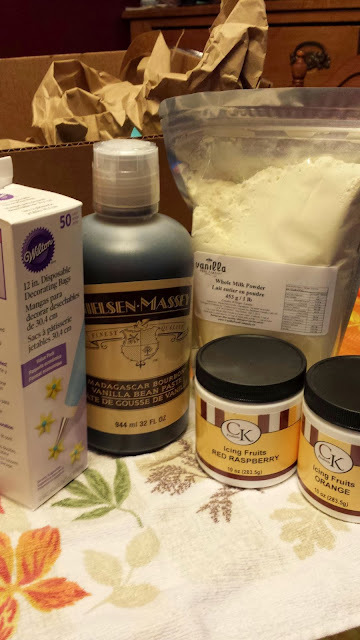 Im really looking forward to getting into those fruit pastes and seeing what awesome things I can make with them! They’re no Boiron (a very high quality fresh fruit paste company), but I’m excited to take them for a test spin. Watch this space for awesome baked goodness from these products! Previous Post 2013 Great Food Blogger Cookie Swap – My Matches!